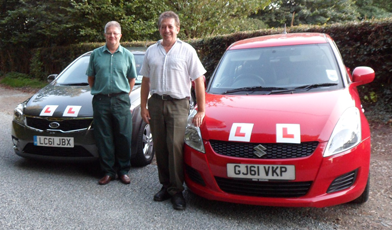 1st Gear Intensive Driving Courses have instructors living in and around the Isle of Sheppey. Over the years we have had many students take and pass intensive driving courses with us from the Isle of Sheppey and our instructors through this have a very good knowledge of both the test routes used by the nearest driving test centres (Gillingham, Maidstone or Herne Bay) as well as knowing the best practise routes in the area to enable you to get the best out of your lessons with us. Once you have passed your theory test then the next stage is to contact us. We generally recommend you book an assessment lesson with us before booking a full course. This gives you an opportunity to get to know your instructor as well as giving our instructor an opportunity to give you an honest assessment of your current driving skills and how long a course they suggest.